During his education at the art academy sound played an increasingly important role in the works of Olivier Nijs. In his first years after leaving Ateliers Arnhem several performances were given with the Olyfoon. An electric organ which was converted into some sort of 3D Melotron, switching a lot of little cassette players which were spread across the stage. The first attempt in creating ‘Acoustic Cinema’. This idea of sound in the space around the audience and a sound without its image is still an important element in the present works. After these first performances he was asked to take part in an alternative dance music project. In which he sampled and filtered his field recordings to blend in with synths and drum machines. During this period he also performed with a extended jazz orchestra and in several experimental theatre productions. 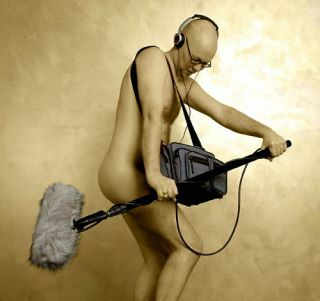 At the moment his main focus lies with pure field recording. In several conceptual projects the recordings, mostly in surround, are used or modified in different ways. The recording is never meant to be the final work. What it means to the listener is more of his interest. Time, time perception and the limitations of the human senses are playing a central role in the concepts of the works. For many of the projects he developed his own software applications to be able to record or manipulate his recordings.